Art. 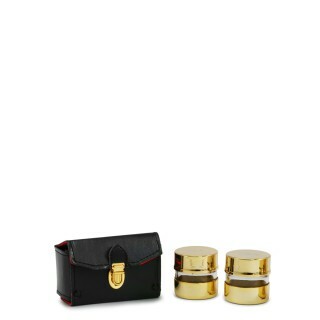 D965-00Ecological leather case complete with two Holy oils CRIS-CATThe stocks are made of 24k g..
Art. 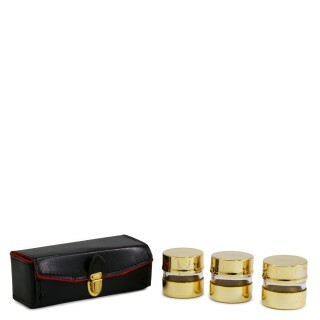 D966-00Ecological leather case complete with three Holy oils INF-CRIS-CATThe stocks are made of..
Art. 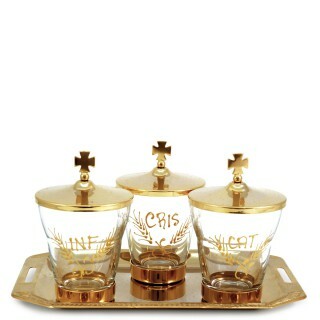 D866Holy Oils set made of 24k gold plated brassComplete with 3 Holy oils stock engraved INF-CRI..
Art. 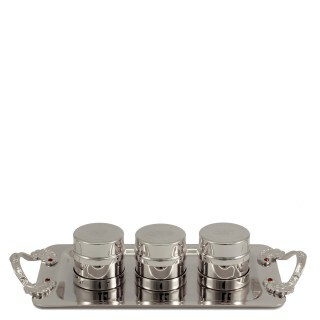 D867Holy Oils set made of silvertone brassComplete with 3 Holy oils stock engraved INF-CRIS-CAT..
Art. 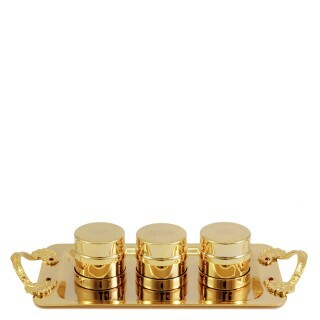 D866SHoly Oils set made of 24k gold plated brassComplete with 3 Holy oils stock engraved INF-CR..
Art. 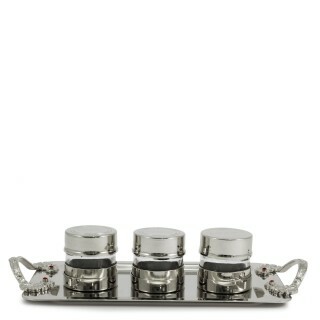 D867SHoly Oils set made of silvertone brassComplete with 3 Holy oils stock engraved INF-CRIS-CA..
Art. D499 SHoly Oils set made of 24k gold plated brass and glassComplete with 3 Holy oils stock hand..